Facial discrimination should be enough to strike down the Michigan Inventive Multiplier on Commerce Clause grounds. On top of that, however, contemporaneous evidence provides indications of a protectionist motive. The declared purposes of PA 295 were to promote a diversified fuel mix, promote greater energy security through the use of local resources, improve air quality, and to encourage private investment in renewable energy. Of these, the only goal meaningfully served by the Michigan incentive multiplier is in-state economic development. Indeed, the Michigan Public Service Commission noted in its 2014 report on the implementation of PA 295 that the “Michigan inventive REC provision is meeting its intended purpose to encourage developers to maximize utilization of Michigan equipment and labor.” Governor Granholm was also forthright that a primary goal of PA 295 was to aid Michigan’s manufacturing industry. In an early press event on the bill, she noted: “the package will do a lot of things, but for me the most important thing is the job creation and adding a whole new sector” for Michigan’s economy.The dormant Commerce Clause does not prohibit states from promoting local economic development and job growth. As one commentator noted, “[n]o renewable energy mandate passed a state legislature without the promise of thousands of new jobs.” However, while a law that evenhandedly promotes investment in renewable power is constitutionally permissible, one intended to preference in-state industry interests by encouraging increased consumption of local goods or services is not. 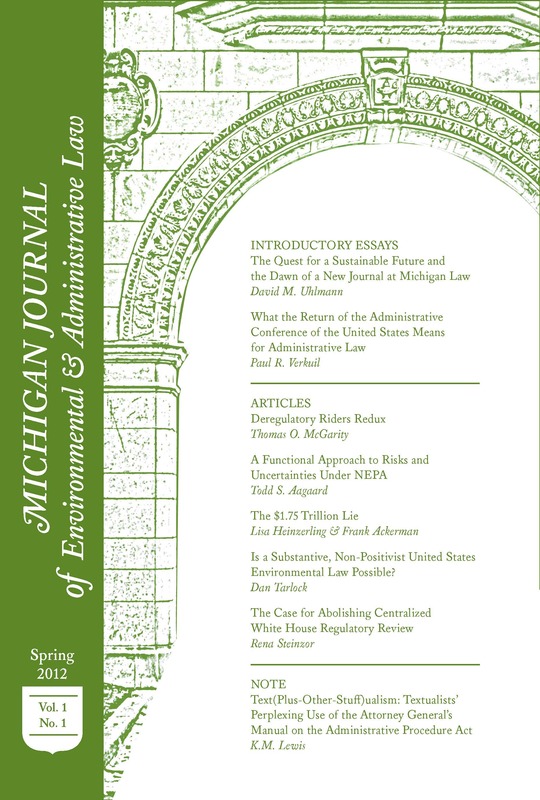 The delineation between a “discriminatory effect” sufficient to trigger heightened scrutiny and an “incidental burden” to which the Pike balancing would be applied is imprecise.However, evidence suggests that the Michigan RPS more than “incidentally” burdens the interstate trade in renewable power. A 2015 report from the Michigan Public Service Commission indicates that “[n]inety-three percent of the energy credits used for 2013 compliance were from renewable energy generated in Michigan.” Only seven percent came from renewable energy generated in Indiana, Iowa, Minnesota, and Wisconsin. Furthermore, without the in-state mandate, renewable electricity produced in nearby states could be purchased far below current prices. The most recent contracts for new wind capacity in Michigan have levelized costs in the $50 to $55 per MWh range, according to a 2015 report from the Michigan PSC. This exceeds the cost of other regional wind projects costs by over 30% and the nationwide average by roughly 50%. The burden Michigan’s RPS imposes on the interstate renewable power market is certainly not insubstantial.The practical impact of Michigan’s RPS has been to preclude energy suppliers in 45 states from competing for a share of Michigan’s renewable energy demand. On the other hand, the state has not banned the import of renewable energy for purposes other than meeting the 10 percent mandate. Electricity may continue to move freely across the Michigan border through the MISO or PJM markets. Additionally, it is unclear to what extent leveling the playing field in Michigan would lead to a greater influx of out-of-state power. Michigan’s geographic sourcing restriction may also be warranted to achieve local emissions reductions from fossil-fuel power plants, as advanced in subsection (d). The climate change impact of renewable energy accrues globally regardless of where emissions are displaced.Therefore, a state cannot justify in-state preferences on the “local” climate benefits of greenhouse gas emissions reductions. Nonetheless, renewable power generation displaces electricity generated from coal and natural gas plants, thereby reducing conventional air pollutants—sulfur dioxide (SO2), nitrous oxides (NOx), particulate matter, mercury, and lead—and improving local air quality and public health. The actual effect on air quality depends on how renewable resources are added the supply mix. Constructing a solar energy project in Michigan has a chance of displacing polluting coal plants in Michigan. Buying RECS from an Arizona solar project probably does not. Under the more forgiving Pike Balancing test, however, Michigan would have little trouble establishing a rational connection between its purposes of air quality improvement and the geographic sourcing restriction, despite evidence that in-state location is an imperfect proxy for fossil fuel emission displacement. Michigan’s geographic sourcing restriction and Michigan incentive multiplierleave the state’s RPS vulnerable to a dormant Commerce Clause challenge. Of course, it is possible that PA 295 may never be contested in court, given the law’s carve-outs for certain existing projects and special interests that would have been most likely to sue. Here, an ounce of prevention was certainly worth a pound of cure. Article III limitations such as standing may also bar a challenge on the merits, as they did in a lawsuit against renewable standards in Connecticut. Nevertheless, until the preferential language in Michigan’s RPS is removed, the law will remain in jeopardy. Sarah Stellberg is a third-year student at the University of Michigan Law School, where she is Editor-in-Chief of the Michigan Journal of Environmental & Administrative Law. This post is part of the Environmental Law Review Syndicate. See, e.g.,H.P. Hood & Sons, Inc. v. Du Mond, 336 U.S. 525, 531 (1949); Pike v. Bruce Church, Inc., 397 U.S. 137, 141-42 (1970). Oregon Waste Systems,511 U.S. 93, 100-01 (1994). The Supreme Court has only once upheld a discriminatory statute under this test. Maine v. Taylor, 477 U.S. 131, 151-52 (1986) (upholding Maine’s ban on the import of out-of-state baitfish because Maine had no other way to prevent the spread of parasites and the adulteration of its native baitfish species); see also Erwin Chemerinsky et al., California, Climate Change, and the Constitution, 25 Envtl. F. 50, 54 (July/Aug. 2008) (noting that only one law has survived strict scrutiny analysis). Mich. Pub. Serv. Comm’n, Report on the Implementation of the P.A. 295 Renewable Energy Standard and the Cost-Effectiveness of the Energy Standards 7 (Feb. 13, 2015),http://www.michigan.gov/documents/mpsc/PA_295_Renewable_Energy_481423_7.pdf. U.S. Energy Info. Admin.,Michigan, State Profiles and Energy Estimates (2014), http://www.eia.gov/state/?sid=MI.